Europe faces multiple challenges, which need to be responded to by means of EU policies and financial rules alike. Unemployment, social inequalities and migration (perceived to be the top three challenges for the EU by its citizens), growing euroscepticism and the erosion of European values, the ecological and climate crises, which undermine human well-being, the challenges of the euro area and the revenue loss caused by Brexit all need to be tackled in an ambitious reform of the European project supported by a transformed EU budget (Multiannual Financial Framework). Even though the EU budget has changed a lot in the last decades, it still requires ambitious reform to enable it to be a positive driver of change, meet the expectations of the people for an ambitious future for Europe, and accordingly support the implementation of the Sustainable Development Goals. Such reform should include not only bold decisions on what and how much the EU spends and where the money comes from, but should also involve a change to the overall approach to ensure the entire EU budget coherently delivers on the overarching objective of working for the people and protecting the planet. 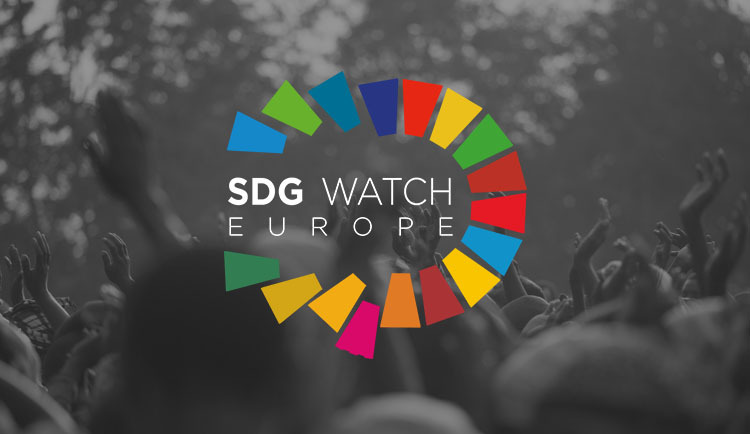 While the White Paper on the future of Europe outlined five potential scenarios, SDG Watch Europe firmly believes that they are not capable of setting a positive vision for the future and uniting Europeans around the necessity of major reform. In our view the kind of scenario that is urgently needed puts sustainability at the heart of the European project. Our proposed 6th scenario outlines a social Europe that is able to reclaim common goods and to work for the people instead of focusing on commercial and corporate interests, while addressing the challenges linked to operating in a world of diminishing resources and an ecological crisis. Our vision of Europe involves a stronger focus on core values – democracy and participation, social and environmental justice, cultural diversity, solidarity and sustainability, respect for the rule of law and human rights, both in and outside of Europe. Citizens seek economic, social and environmental well-being: economic well-being in the form of prosperity for all, starting with redistribution of wealth; social well-being in the provision of quality, inclusive and affordable public services, promoting cultural diversity and a caring society; environmental well-being reflected in a healthy natural environment that sustains all life on Earth and protects our soils, waters and air, tackles climate change and provides nutritious, healthy food. As a result of implementing these policies, the EU27 will ensure a better life for all of its citizens. 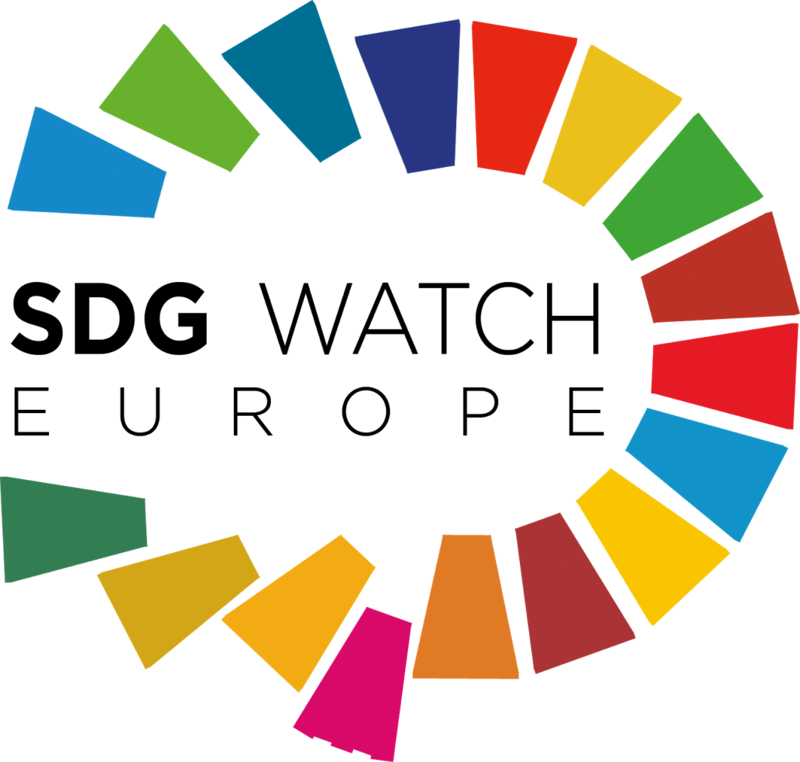 Delivering the 2030 Agenda for Sustainable Development, based on the 17 goals and principles, leaving no one behind, living within the fair share of global resources and returning to operating within planetary boundaries, as well as respecting human rights should be at the core of EU and national policy-making. Real progress on this comprehensive agenda can only be achieved however, if policy silos are dismantled, incoherencies and contradictions are resolved, and all policies and programs are contributing to the sustainable development agenda. The social and environmental costs cannot continue to be borne by people within or outside of Europe due to the EU’s adherence to flawed approaches and methods. Such policy coherence should be ensured in the EU budget through sustainability proofing based on the consistent application of an inseparable set of sustainability principles while serving the Sustainable Development Goals. Sustainability proofing of the EU budget should involve a structured process of ensuring the effective application of tools to maximise the social, environmental and economic benefits and to avoid or at least minimize harmful impacts and trade-offs of EU spending. It applies to all spending streams under the EU budget in both internal and external spending, across the whole budgetary cycle and at all levels of governance, and should contribute to a significant progress of the EU towards sustainability assessed against a set of sustainability principles. Sustainability proofing is thus a tool to ensure that environmental integrity is maintained as a precondition for any development, while economic and social development serve the objective of increasing human well-being. Sustainability proofing is a step-wise process that follows the mitigation hierarchy under which appropriate actions are taken in the following order of priority: (1) avoidance of negative impacts; (2) reduction of negative impacts; (3) rehabilitation/ restoration measures; and (4) compensation measures for significant adverse residual impacts. Substantive, procedural and institutional instruments will achieve this. This approach will ensure the EU budget lives up to its potential to catalyse a sustainable economy of well-being, and help repair some of the root causes of the problems facing Europe by introducing new priority objectives, new participatory spending tools, and improved accountability. This will indeed amount to a genuine budget for the people. The EU budget shall take a holistic approach, support systems change and promote innovation, which is required for the transition to sustainability and building a circular economy. The EU budget shall serve a diversified and resilient economy and society, where the full potential of all communities, organisations and businesses of any size is fully achieved. The EU budget shall serve the public good. The EU budget shall contribute to decreasing the total environmental pressures (use of natural resources, use of land and emissions of waste, toxic substances, greenhouse gases and alien genotypes) to return to within planetary boundaries, and should not contribute to shifting of environmental pressures in time and space. The EU budget should contribute to improving the state of environment and maintaining and restoring ecosystem services, which is the very foundation of our society and economy. SDG Watch Europe calls on the European Commission to sustainability-proof the future EU budget (MFF) based on the above principles.